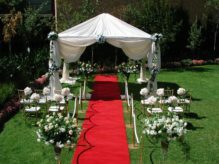 Loves, are you on the process of preparing your wedding day? 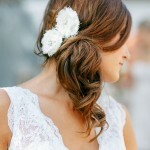 Bridal hair styles are in your preparing list. How about trying a unique hair style to look extra-special on your wedding day? Bohemian looks are popular in 2014. It is not true that hobo look is only suitable for a beach wedding. In fact, loose, effortless waves or waterfall twists are good hair cuts for all 2014 wedding styles. Honey, if you do not like to put all of your hair down, you can also try half up half down look. Place a pin into your hair to hold layer up, making hair near your forehead away from your face, and leaving the additional layer for an enchanting hair look. 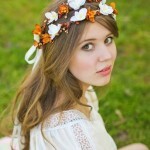 Have a look these 35 Stunning Boho Wedding Hairstyles Ideas.